1 GB of RAM (>1 GB recommended). 1 GB of available hard-disk space. 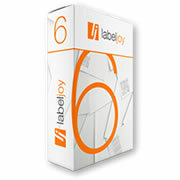 Labeljoy is a professional barcode software that enables users to generate Barcode and QR Code simply and quickly. 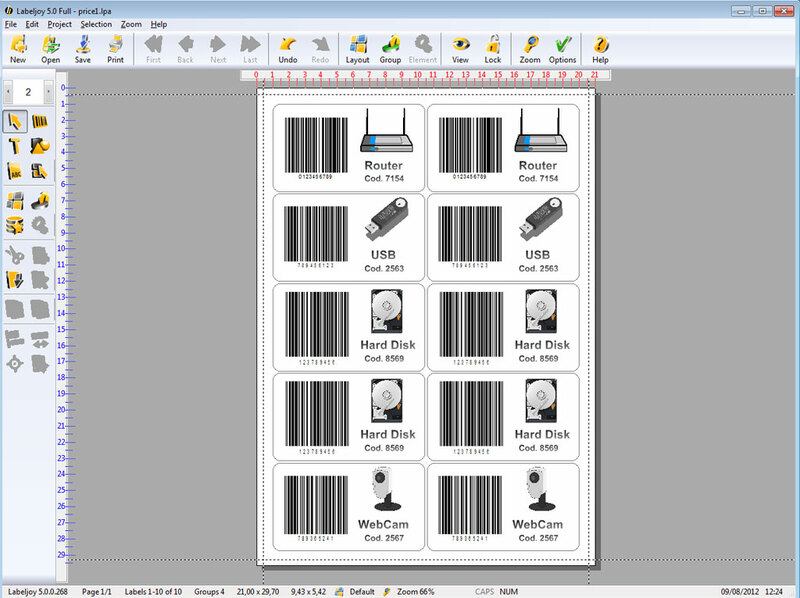 Easly generate the barcodes you need and print barcode labels. Simply select the barcode type, enter the code number and click on OK. Than print or export your labels. Labeljoy barcode generator software is packed with features that allow you to create custom Barcode and labels for every type of business. 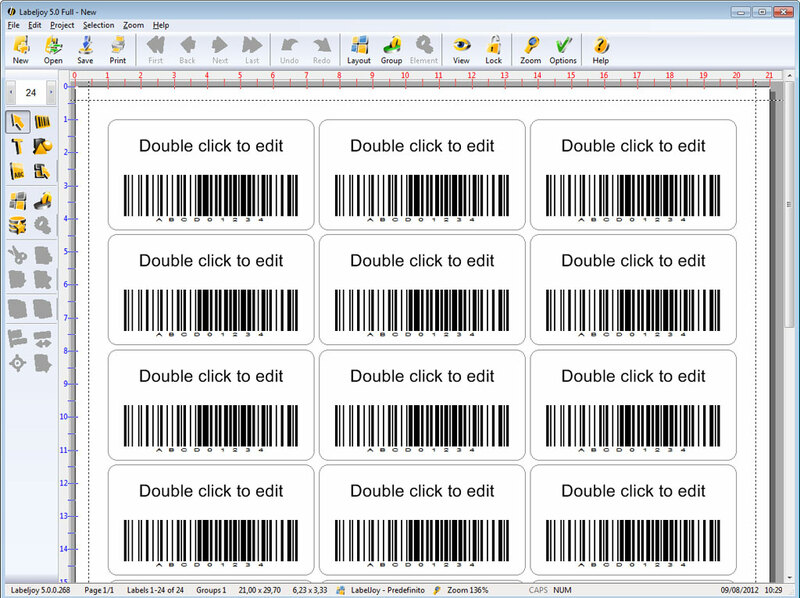 The barcode label software allows to generate both linear and 2D codes (or more precisely 18 linear barcodes and 4 2d barcode including also the QR Code). Open Labeljoy and double-click on the barcode. Select the type of barcode you want to create. Write the alphanumeric code to be generated. Click on Ok and the software generates the barcode. 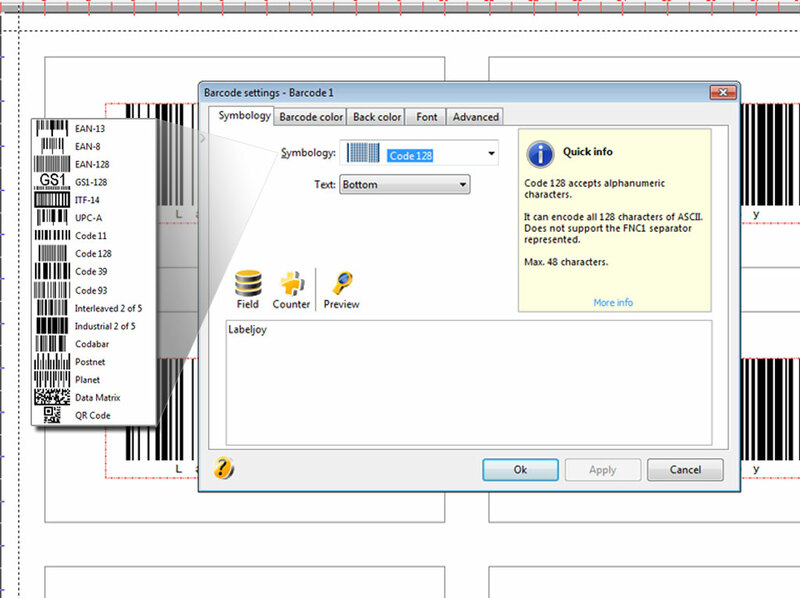 For more information, see the video tutorial “How to generate barcode and Qr Code“. Labeljoy allows you to genrate barcode for any field and for any type of label, such as wine labels, bottle labels, price tag and all labels requiring a barcode. See our Collection of label templates. 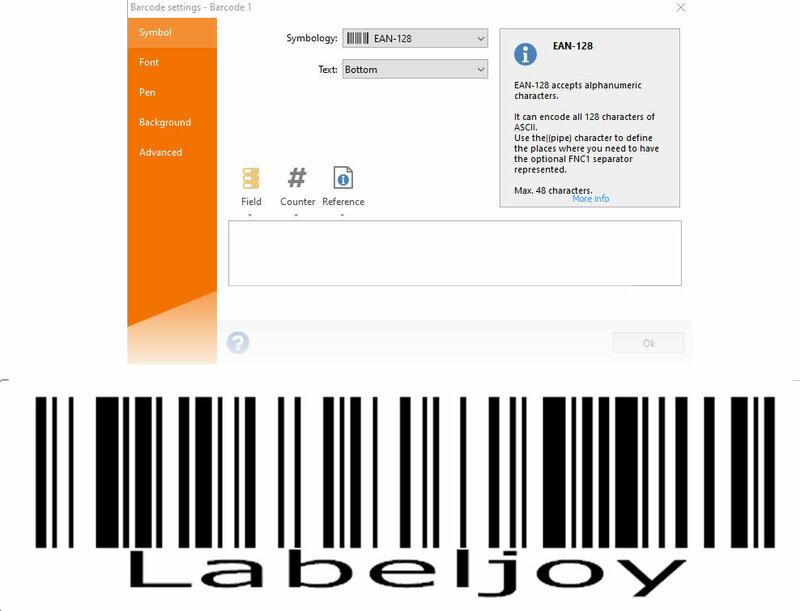 Labeljoy generates 21 different types of barcode: Code 39, Code 128, EAN 128, UPC code, Datamatrix, and many other barcodes. You can export the barcodes created in the most common formats such as pdf, jpg, gif, png, tiff, and ico. It’s possible to import barcode from external databases such as Excel, Access, Outlook, Sendblaster, csv, txt, wk1-2-3, Sql Server, MySql, Oracle. The software allows you to print barcodes with roll printers or standard printers, choosing between preloaded layouts or customizing layouts as you wish.